Having just one spring-foot would really throw off his stride. I don’t think that would work out well. 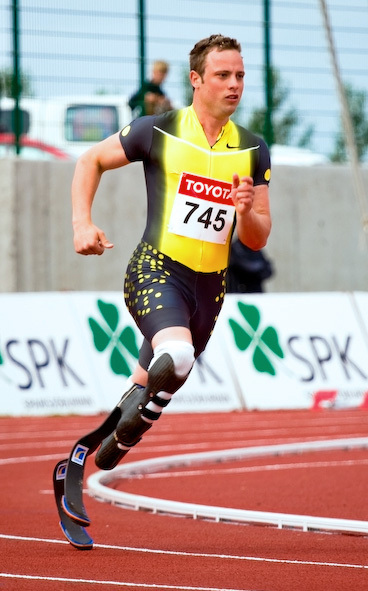 The IAAF tried to ban him from running in non-paralympic events, claiming his prosthetics gave him an unfair mechanical advantage over runners with normal feet… and there’s something to that argument. The blade-feet are springy, so they bounce him forward with each step. He eventually (2011) won the court cases against his participation, but that would come later than this comic was posted in 2009.